Lynn One, Purl Two: Cold Feet? Not If I Can Help It! Cold Feet? Not If I Can Help It! As I have mentioned here before, the man in my life loves himself some hand knit socks (who doesn't!?!?!?). So much so that he has mentioned to me on several occasions "If you ever need a gift for me, just knit me some socks". So... I often do. Sometimes for a special occasion and sometimes just because. When we got engaged, I knew that this was certainly a special enough occasion to knit the guy some socks, and while we had agreed that there would be no 'pre-ceremony gift exchange', I simply couldn't resist. 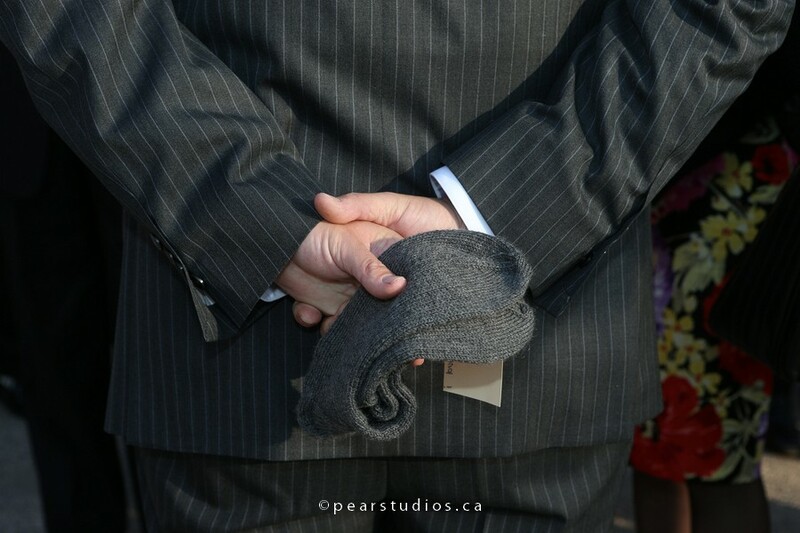 So I went ahead and knit that groom of mine some socks, wrapped them up and asked my brother just minutes before the ceremony to zip down to wherever my dear man was hiding and pass the packaged up socks along to him. And so like any good baby brother, he did. So there I was, thinking that the exchange would make for a much needed solitary second of reflection for my man. But as it turns out, he opened the package in front of all of his groomsmen, as well as our minister. 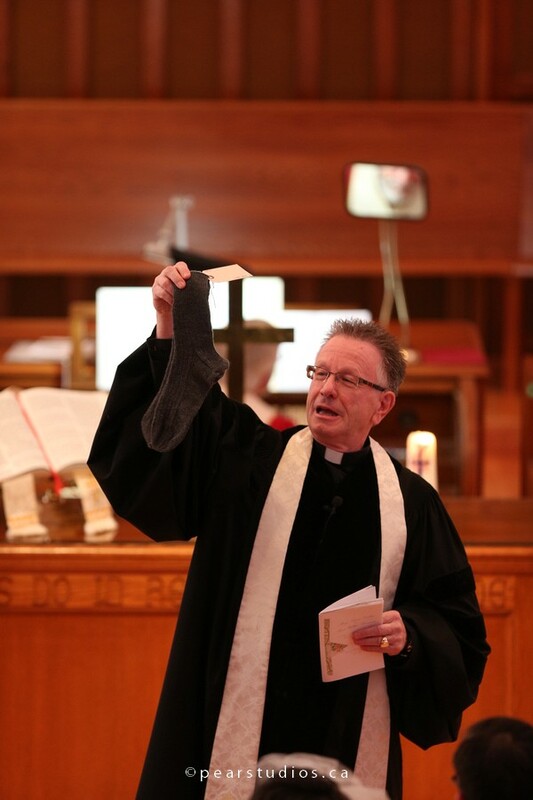 And much to my surprise, that pair of socks somehow worked their way into our wedding day homily. But of course they did- right? I am a knitter through and through (not to mention a sock knitter) and to have those socks incorporated into our service was nothing but the sweetest icing on the cake I could have ever imagined. And besides, I think that I have known I wanted to knit my groom socks for our wedding day long before I even knew my groom. It's really the only day of your life that a knitter needs to REALLY worry about their main squeeze getting cold feet. And wool socks is certainly the best preventative measure that I can think of. He tends to run pretty hot... even on the coldest of days. I love the note on the socks. What a way to make your groom smile! 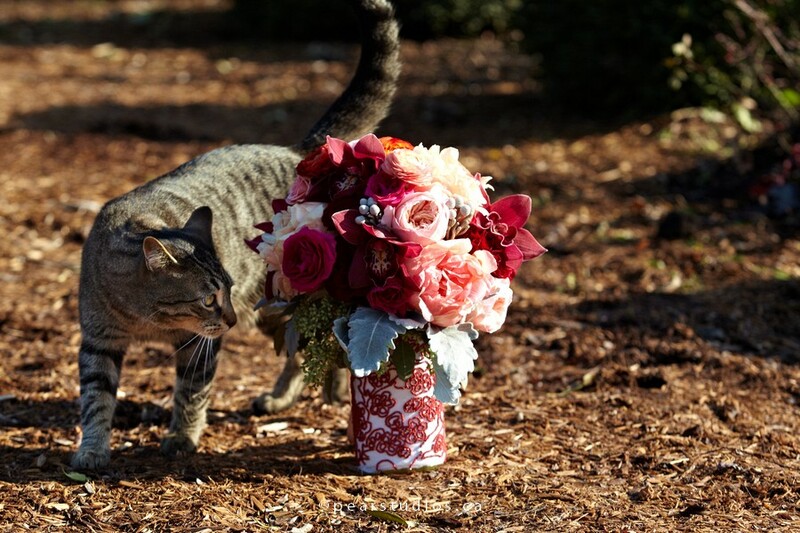 Love the picture of kitty, investigating the flowers, as well. What a cute story and the pictures make it even better! Oh, my goodness. You are completely adorable. Cold feet. HA! I love it. That's so fun that it was worked into the homily! I have to say, I've always been VERY confused by the "pre-ceremony gift exchange" as well. Isn't the rest of my life enough? Eesh. I love this post! And I love the picture of your husband holding the socks behind his back. What a neat memory you created for the two of you! That's so cute! Love this post! Wonderful story. :) Gives a little heartwarming 'zing' to my day! Thanks for sharing! How About A Little 'Cheer Up'?